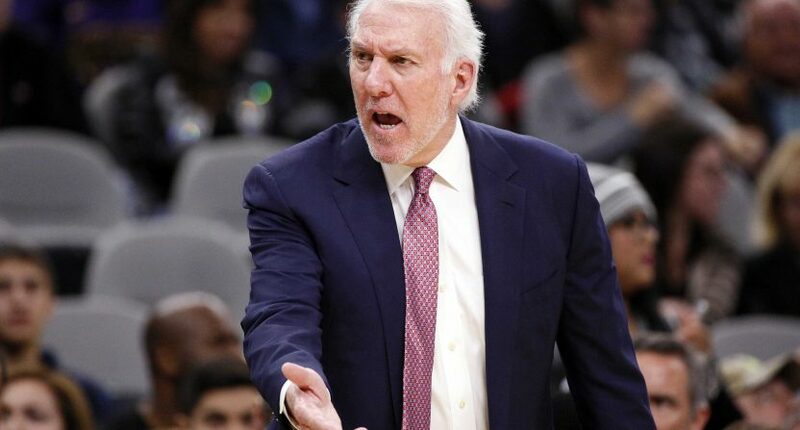 The Washington Wizards and San Antonio Spurs tipped off on Sunday night at the AT&T Center, and sixteen seconds later, a very angry Gregg Popovich called a timeout. Washington won the tip-off, and Bradley Beal found Thomas Bryant for a dunk on an easy pick-and-roll to start the game. Popovich was so livid with the (lack of) defensive effort from San Antonio that he called a timeout right after the dunk, before the Spurs even had a possession. Popovich timeout at 11:44. Of the first quarter. Sixteen seconds in. Washington leads 2-0. This could be a first for me. Popovich angrily called another timeout in the second quarter after the Spurs got lost on their perimeter defense and allowed a wide-open three. The halftime break had to be a particularly rough time for the Spurs’ players; San Antonio allowed 43 points in the second quarter and you can be sure they heard *plenty* about it from Pop. The Spurs responded with significantly better defense in the third quarter, allowing just 17 points.